Let me say that I LOVED Dirty Little Secret! Honestly, I wasn't sure what I was going to find with Jennifer Ryan's latest book. 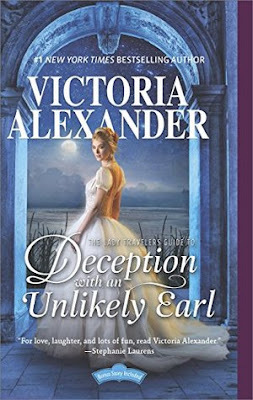 All I knew was I liked her previous books, therefore I will like this one. Actually, I'm totally excited to see what Jennifer has in store for the rest of the series. Dirty Little Secret had me grasping for more. I absolutely loved the characters. We had Noah and Annabelle Cordero who grew up with John Cordero. Both weren't his biological children, but he raised them as his own. Then there's Roxy Cordero who was John's actual biological child, but never recognized her as his own until after his death. John had his secrets, and they were reveled until after his death. They shook and rocked Noah, Annabelle, and Roxy's world. Now all three of them have to live with the terms of his will, which seriously pissed Noah off. Yes, Noah and Roxy had a rocky start. It was mainly Noah induced. However, Roxy is smart and knows what she needs to do to make sure the ranch is thriving. Eventually, they find the balance and understanding, but not the easiest with Roxy's past lurking in the background. Anyway, Dirty Little Secret had me begging for more. I seriously can't wait for the next book. I love the story between Noah and Roxy. I love that she understood Annabelle's needs. An amazing story! Probably my top read for this year. I can't wait to see what Roxy's sisters have in store with the series. I hope the next story involves Sonya. Actually it doesn't matter which sister, I just need another story. Austin sounds like he's in need of desperate help. By the way I love how Jennifer gives a little tease of whats to come. It's subtle, but it's there. Anyway, LOVED Dirty Little Secret, and I can't wait to see what the other Wild Rose Ranch has in store. Dear Mister...**strike out** no, too formal. Hey there sweet cheeks *strike out* no, too forward. To whom it may concern, Full disclosure; before we move forward with this email, I would like it to be known that I have consumed an adequate amount of alcoholic beverages to intoxicate myself tonight. Three margaritas, two shots, and one beer—because it was free. I think it’s important to be open and honest with your co-workers, don’t you? One week ago, Cyrus Cahill told Ashley Jo “AJ” Somerfield that he’d be back in her arms by the weekend. He just needed to buy a bull for his ranch, and then they’d pick up where they left off after that romantic ride through the foothills. But now he’s gone missing and everyone—even the sheriff—believes he’s dead. Everyone…but AJ. She suspects foul play and she won’t rest until Cyrus is back home in Gilt Edge, right where he belongs. Because Cyrus isn’t the kind of cowboy who breaks a promise. And since she’s not the kind of woman who gives up on her man, AJ will risk anything to help bring him home…even her own life. Don’t miss this suspenseful conclusion of The Montana Cahills series from New York Times bestselling author B.J. Daniels. 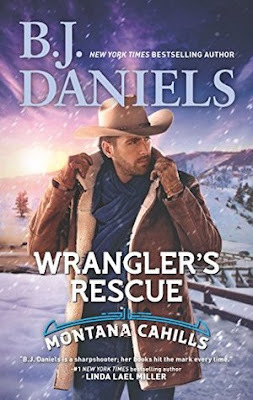 Today I will be sharing my thoughts on Wrangler's Rescue by BJ Daniels, which happens the first time I'm trying her books. When I was offered a chance to read this book, I was excited. 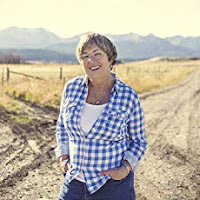 First off, I have heard of her, and she was suggested to me to checked out when I was in Montana. I never did get a chance, but this was always in the back of my mind. We moved to Oklahoma, still have read her, but decided to try Wrangler's Rescue. The story can be read as a standalone, but I feel this story would be better read in order. Wrangler's Rescue was pretty good read. We have Cyrus Cahill about ready to make his declaration of love to Ashley Jo "AJ" Somerfield. However, he has to leave on a business trip. Things take a turn and he ends up dead, and now he has a widow. Yet, AJ smells something fishy, and she's willing to take a chance to find whats going on with Cyrus. Oh man the twist and turns this story takes along the way are fantastic. I felt the need to keep reading, because I needed to know what in the world made Cyrus marry some nobody. It was interesting and mildly suspenseful. Overall, Wrangler's Rescue was a pretty awesome read. There will be some slight spoilers, but they are required for It Had to Be You. Let me start that I have been hopping around through the Chicago Stars stories for a little while, and I have decided to read them in order. I love the newer stories, so now I'm going to start from the beginning and work my way to the end. With that, I do like Dan Calebow later in the series. However, had I started with this one I probably would have ripped his head off. Dan isn't the most pleasant guy in this story, especially with Phoebe Somerville. There was a lot of work that had to happen between these two characters. I truly almost stopped reading It Had to Be You, and I had to mustered through a scene. I seriously thought Dan picked up a 16 year old girl, but it was his ex-wife who was into roll playing. Definitely a WTF moment. I'm glad he felt disgusted by this, but he didn't feel that disgusted after all he slept with his ex-wife. Anyway, he had an epiphany that he wanted to settle down and find the perfect wife, which he meets Sharon. By the way I totally forgot her last name, and I only remember her with a different last name cause later in the series you see her again married to someone else. However, Dan thought Sharon was perfect person to marry, but he can't stop lusting after Phoebe. Let's be honest Phoebe is a hot mess at the beginning. She's trying to discover herself, while still trying to get her dead dad's approval. Let's throw in a moody teenage half-sister who doesn't even like her. She has a lot on her plate and her father try to set her up for failure. Thanks dad. However, I did like Phoebe. I even felt bad for her when her backstory came to life. As the story progresses she eventually finds her true self. However, it's a good portion of the story. I do love the friendship she develops with Ron McDermott, which puzzles Dan. After a few of the scenes in It Had to Be You pass I actually liked this story. I love how the football players stood up for Phoebe. She did develop a special relationship with Stars. The relationship between Dan and herself is a bit rough, but they manage. Now I'm going to re-listen to Bob Tom Denton's story, because he's to funny. 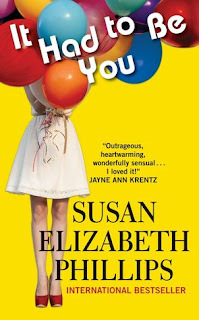 Before I close this off, I do have to mentions Anne Fields reading of It Had to Be You; she does a fantastic job. I love how she reads this story. She does a great job with male voices and female ones, and you definitely can tell the difference.